Posted on Sat, Dec 17, 2011 : 9 a.m. The female workforce is continuing to grow. According to OSHA, there are new products and tools designed to fit the needs of this new and emerging demographic. Last week’s column was for tools for the "Do-it-Yourselfer" guy. I've received many requests since then for an article for the "do-it-yourselfer" ladies. I did a little research and found many products designed exclusively for women. While I would still recommend the tools in last week’s column for all women, consider this column as an "in addition to." Would it be safe to say this is for the "Jill of all Trades"? 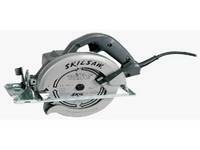 Skil Skil HD5510 6.5 Amp 5-1/2-inch saw. This lightweight circular saw is a high torque and precision cutting tool designed for smaller project such as cutting sheets of plywood, 2x4s or trim boards. Cost: Approximately $200. 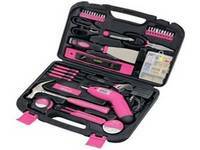 Apollo Precision Tools DT0773N1 135-Piece Household Pink Tool Kit. When I showed this multi-tool kit to my sister in law, she said, "I need new tools, but they do not have to be pink." She continued, "But that cordless drill would come in handy for the loose electrical cover, and the measuring tape is kind of cute, and I like the variety of tools." She ended by asking, "Where can I get one?" Dispite the "cuteness" of the tools, these are high-quality and solid pieces of equipment. Amazon sells the kits for about $40. 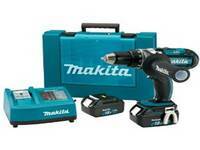 Makita LXFD01CW 18-Volt Compact Lithium-Ion Cordless 1/2-Inch Driver-Drill Kit. This light weight commercial Makita drill has a four-pole motor which delivers 480 inch-pounds of max torque and 290 inch-pounds PTI torque, with two speeds to cover a wide range of drilling and driving applications. At 7-9/16 inches long and 3.3 pounds, it has a compact design to reduced operator fatigue and a new rubberized soft grip for increased comfort. The built-in LED light illuminates the job area for applications in low-light conditions and close quarters. It runs about $150. 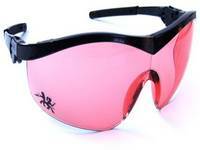 Moxie Trades Pink Women’s Safety Glasses. Female or male, when a technician is hired with our company, the first item addressed on the first day of work is safety. The most important tool is eye protection. At $8-$12, it's a must have. 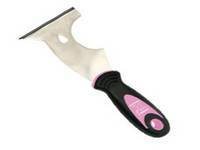 The versatile high quality 5-in-1 Tool is made by TomBoy Tools. Tomboy Tools is an educational tool business which sells on high quality, lightweight tools. Unlike a Tupperware party, these products can construct a kitchen rather than bake what's in it. This 5-in-1 is used to clean the paint roller, remove nails, open paint can, scrape off old paint or smooth surfaces and spread spackle or putty into cracks or gaps. I cannot live without my 5-in-1, and I highly recommend one in every "Jack" or "Jill" of all trades toolbox. Treat yourself to an early Christmas present this year, or give this article to your spouse for hints. Either way you will be getting quality, useful tools to complete your projects. Paul is a State of Michigan Licensed Builder. Paul serves as President and founding member of Nationally franchised HandyPro Handyman Service, servicing Washtenaw, Wayne and Oakland Counties. www.handypro.com. Listen to Paul every Saturday at 11 a.m. on “It’s Your Business, Make It Happen” WAAM Talk 1600AM. Email questions or comments to kpaul@handypro.com. Sun, Dec 18, 2011 : 2:46 a.m. I'd rather be dead than be caught using a girls tool! Sun, Dec 18, 2011 : 12:23 a.m. I'm with Jan. My concern is with the tool quality. I've had el-cheapo tools that have burnt out, broken, and plain not worked. I'm for getting real tools, and decorating them with nail polish, or duct tape, if ownership is an issue. Can't see any value in having a set of pink tools, other than to perpetuate a stereotype about women. Phooey on that! Sat, Dec 17, 2011 : 4:44 p.m.
pink tools and diminutive circular saws? What? No oven mitts or vacuums? If I gave my daughter a pink tool she might pistol whip me with her 9MM. Sat, Dec 17, 2011 : 10:45 p.m.
no, not at all. I employed a bit of hyperbole. But she would have expressed dismay at a pink tool. Sat, Dec 17, 2011 : 6:42 p.m. Sounds like she has anger management problems? Sat, Dec 17, 2011 : 4:02 p.m. I agree with JanL! My wife didn't like sharing my tools with me and would get mad that the screwdriver she kept in the kitchen would get &quot;dirty&quot; when I did &quot;real&quot; work on the car with it. So a few Christmases ago I got her a set of hand tools with flowery designs on them and now it is easy for me to remember NOT to take her tools. Sat, Dec 17, 2011 : 2:06 p.m.
My major concern when buying any tools would be the quality rather than the color. That being said, one of the recommendations I've heard for pink tools is that it prevents a certain population from borrowing one's stuff!